Have you considered installing a deadbolt lock on your home? Read on to learn about the top benefits of installing a deadbolt lock. Burglaries aren’t just financially devastating. They’re also traumatic. Almost 47 percent of people who have been burgled say their homes feel unsafe afterwards. Moving house may not be an option after a break-in. So your thoughts turn instead to securing your property before a burglary happens. Installing better locks is one way of keeping out intruders. But with so many types of door locks available, how do you know what’s the best option? We’re breaking down the benefits of a deadbolt lock so read on to learn more. The bolt is made of hardened steel and extends into your door jamb. It comes in two varieties – a single cylinder and a double cylinder. You need a key to unlock the single cylinder version from the inside. But a turn knob lets you unlock the door from the inside. If you choose the double cylinder, you’ll need a key on each side of the door. Make sure you have a key somewhere nearby in case you need to leave during an emergency. In addition, the strike plate of a deadbolt lock is secured in place with three-inch long screws. This protects the door frame, making a break-in less likely. Because deadbolt locks take so long to defeat, intruders will make more noise. That gives themselves away in the process and increases the chances of someone raising the alarm. Security solutions can run up expensive bills, depending on your level of cover. If they’re out of your budget, a deadbolt lock provides peace of mind for a much smaller one-off outlay. Remember that for almost 28 percent of burglaries, someone is at home at the time. Simply twisting the deadbolt lock knob will secure your doors and keep you safe. Deadbolt locks also easy to add alongside existing locks for added peace of mind. 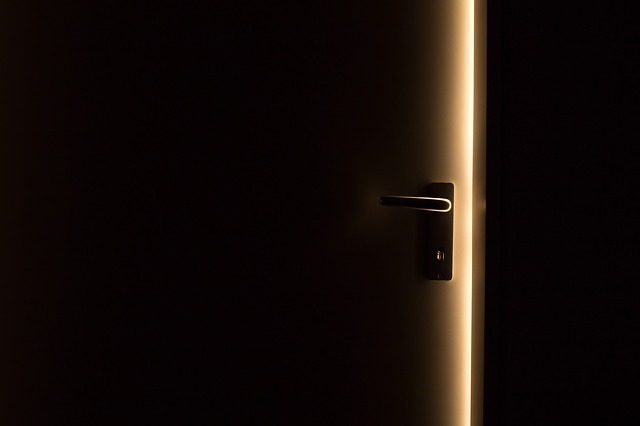 Intruders are less likely to force a door boasting multiple locks. Smart door locks offer all kinds of benefits, like letting you grant “keys” to visitors when you’re not home. But being technological, they’re open to misuse. A deadbolt lock is low-tech enough that your whole family can use them. Plus, they won’t lose power during a blackout. And you can’t hack into a deadbolt. Wondering how to pick a deadbolt lock? They’re more difficult to pick than regular door locks. You can make it harder by keeping the lock well lubricated. And choose one with more pins, making it harder to pick. Talk about the options available with a commercial locksmith. Now you know the benefits of installing a deadbolt lock on your doors. The greatest benefit of all is the peace of mind they bring. They’re a more affordable option than an expensive security system. And they don’t need a manual before you can use them! If you’d like to relax at home knowing your property is secure, then we can help! Contact us today about installing deadbolt locks on your doors.